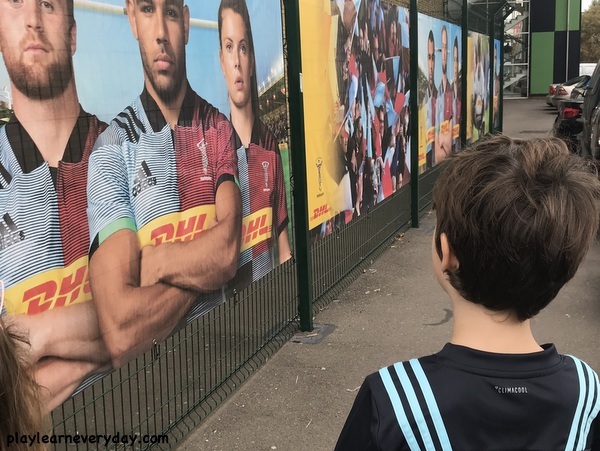 Over the summer Ethan was lucky enough to attend the Harlequins Rugby Camp so that we could review it. I won't leave you in suspense, he absolutely loved it! It was three full days of learning rugby skills and playing rugby games, he came home each day exhausted and excited to go back again. 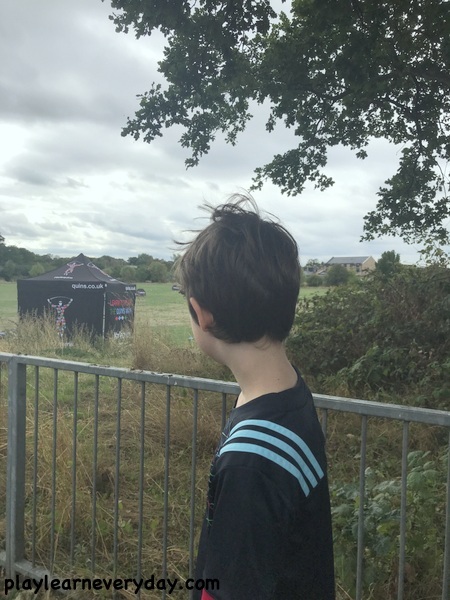 Ethan is just six years old, so he was one of the youngest children at the camp and he doesn't have very much rugby experience. 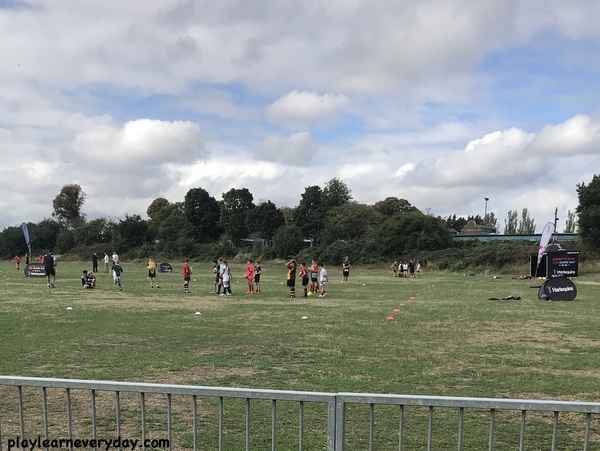 But don't let that put you off if your child is in a similar position, as Ethan felt comfortable from the moment that he arrived and picked up the sport so quickly in those three intensive days. I dropped a very excited Ethan off each morning, dressed in clothes suitable for rugby (we had bought him a Harlequins training top, so he wore that with football shorts, long socks and football shoes as those are what we had, and they worked perfectly fine), I signed him in and left him to go have fun playing rugby for the day. They do a morning session of playing rugby in their age range groups. 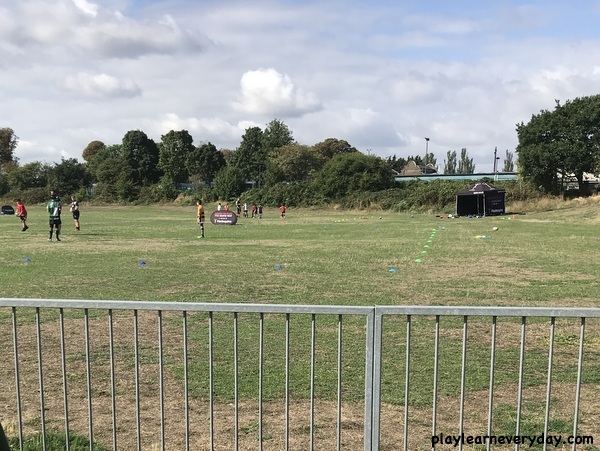 There are plenty of coaches to go around so the children get a lot of individual attention to help increase their skill level. You also send them in with a packed lunch which they then have before going back out for their afternoon session of playing more rugby! 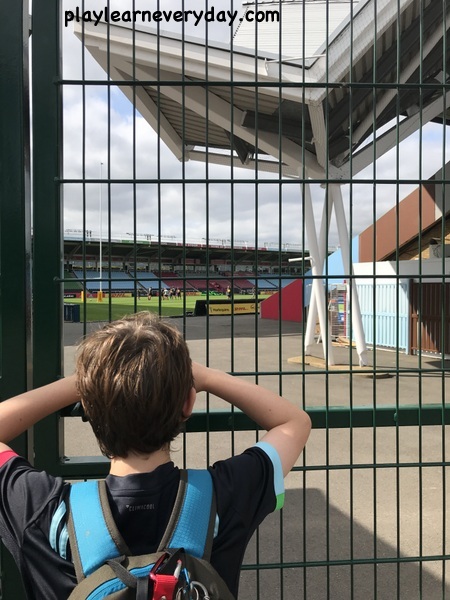 On the last morning the children at the camp were very lucky as they got to watch the Harlequins in their first training session of the season on the pitch at The Stoop. Then they met all of the players and got their autographs at the end! 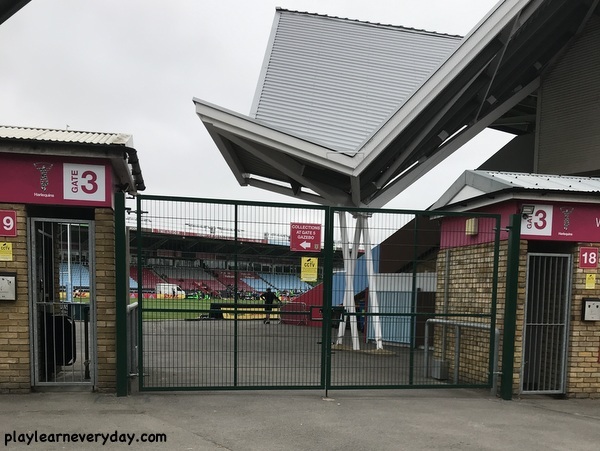 Of course this is not a standard part of every camp, but there are certainly little perks and opportunities that can happen if you happen to time it right. At the end of the three days each of the children gets a little gift to take home and the encouragement to keep playing rugby and come back for more camps in the future (which we definitely will!) 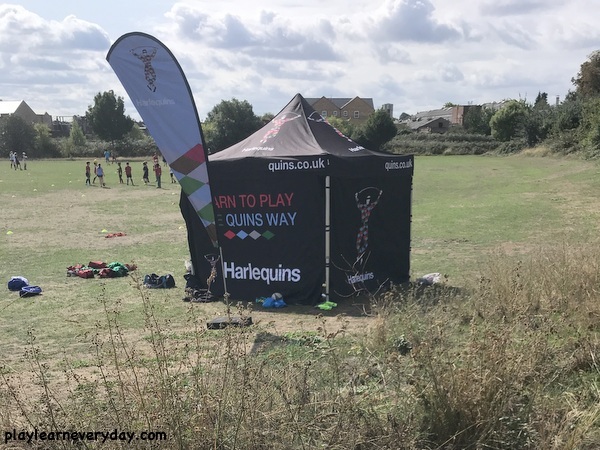 Take a look at the information about the Harlequins Rugby Camp and how to book your own child in for a future camp.